Visiting the present office of the Economic and Political Weekly (EPW) felt like a pilgrimage. The new office is in the lower Parel area of Mumbai. It is an old industrial area, with multi-floor offices and workshops huddled together. Many of the lifts are old — with a grill door and an operator sitting on a stool — going up and down all day with visitors. He manages the heavy grill, stretching its hard metal to close it for movement, then pulling it back to let the visitor out. In the lift I took, the grill puller was an old man. He told me that if I want to, I could take one of the new lifts. I decided to stick to him for my short journey to the third floor. While inside, I recalled my first visit to the EPW’s legendary editor, Krishna Raj in the early 1980s. The magazine’s office at that time was in the Fort area. Krishna Raj sat in his small room with a manual typewriter. The short letters he wrote, indicating a topic on which he wanted an article, were full of grace and humility. Receiving it was a short step before obedience to a moral authority that the EPW was. It had become a symbol of the status of debate in democratic governance. Out of a time capsule: After an hour-long visit, I got into a taxi with a driver from eastern Uttar Pradesh. I felt I had been into a time machine adjusted to both the old and the new worlds of democratic India. My driver told me that his vote is in Mumbai, but he is in close touch with his village in Jaunpur. There are 14 castes, he said, in his village, and all are going to vote for the Bahujan Samaj Party candidate. As far as he was concerned, U.P. had only two worthwhile leaders, Mayawati and Akhilesh Yadav. Ms. Mayawati, he said, showed what it means to control, and Mr. Yadav showed the meaning of development. Then why did he lose so badly, I asked. The answer, my taxi driver said, lay in EVMs, or electronic voting machines. Then he added, “People are more vigilant now.” A minute later he said, “But you never know what all can happen.” His voice carried a healthy mix of hope and resignation. The saga of the EVM has started looking a bit tedious to many people. The Election Commission of India (ECI) itself seems frustrated with the continued suspicion of political parties in the integrity of the EVM system. As a citizen and voter, I often wonder why the EVM story has dragged on for so long. 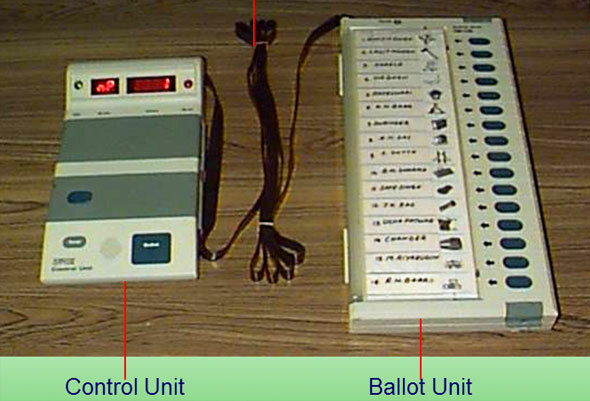 The system that the EVM has replaced was vulnerable in many ways, such as by booth capturing. Recently, when a public commentator used the term ‘election capture’, I was reminded of the days when incidents of booth capturing were common. In the era of EVMs, booth capturing has lost its value, not just its possibility. Another constraint of the pre-EVM era was the high proportion of invalid votes. Many people found it difficult to put the stamp in the allocated space. In the new set-up, the difficulty they might face in locating and pressing the right button will never be known. The EVM voter is presumed to have good sight and a dexterous finger. And if he does not fulfil these assumptions, no one will ever find out. The EVM has deleted the risk of invalidity. The linking of EVMs with a Voter-Verifiable Paper Audit Trail (VVPAT) is a fine mechanical response to the suspicion that EVMs can be manipulated. This doubt-removal machine offers a seven-second long image of the symbol and name chosen by the voter. One can say that a country of millions of smartphone users can be confident that its voters will look at the VVPAT screen during the given time-slot to satisfy themselves that their choice has been correctly recorded. I hope it is all right to wonder whether using a smartphone is as consequential as casting a vigilant glance at the VVPAT while waiting for the beep that announces the completion of the voting process. What the glance reveals and what can be done in case one is not satisfied are matters that can only disturb further the chain of faith that snugly surrounds the EVM system. Democracy is a modern faith. Its disruption must not be entertained, even as a passing thought. This is perhaps yet another demand that modernity is making on our old nation. Never mind that nations more advanced than us on the industrial path have not agreed to use EVMs for their elections. If we emulated their caution, there are many other encounters with modern science and technology we would have avoided. They have so far worked out for us, helping us to move forward. The EVM is one more step. Having taken that step, we can afford to forget our reality and the problems it presents. The new ethos: Mystery is inbuilt into it. So is distance between what you want and what will happen. I have used the EVM just once, and I came back from the booth feeling unsure whether I had performed my civic duty properly. The long row of buttons on the body of the machine looked menacing. It demanded both clarity of vision and precision in the finger. I had neither, yet I acted and pressed the button representing my preference. There was no VVPAT at that time. A longish beep filled the room, indicating that my vote had been cast. I came away wondering whether I had pressed the right button and whether the button I had pressed had recorded my preference honestly. Ever since that day, I have read numerous articles and news items covering the debate over EVMs. Many articles discussed the rejection of EVMs in other democracies. They are technologically more advanced than India, then why did they reject EVMs? That train of thought would lead to doubt over my commitment to the nation and its progress. It is no longer a case of choice of machine or material for nation-building. The new nationalist ethos has no room for debate over anything, let alone the path of progress for the nation. One must pass an ideological fitness test before seeking the right to be given attention. In the context of technology, the digital kind has swept other choices aside. The philosopher of technology, the late Ursula Franklin, defined technology as ‘the way we do things here’. In our case, we have settled our mind over a narrower definition that accepts only digital machines as acceptable technology. The qualities they possess are accredited as the highest. Entertaining any doubt about their integrity is a waste of time. That, indeed, it is, considering that the decision has been taken, in every case. Now the ECI has said that if the proportion of EVMs whose vote count will be verified with the help of a VVPAT is increased substantially, the declaration of results will be delayed by up to six days. This should be quite acceptable. An election season that covers the whole of early summer can surely be allowed to take an extra week. The benefit of such an extension clearly outweighs the strain on public patience it might cause. The collective mind is in any case deeply stressed by the ethos that political life has created. To characterise it as the bustle of a healthy, relaxed democracy would stretch our caution against cynicism too far.